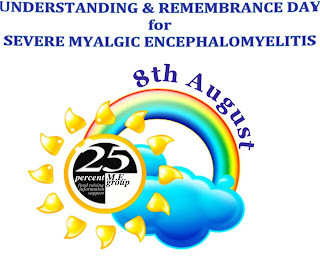 8th August 2013 marks the first Understanding & Remembrance Day for Severe Myalgic Encephalomyelitis. This idea was conceived by Diane, mother and carer of Lili, and has been launched by the 25 percent M.E. Group. 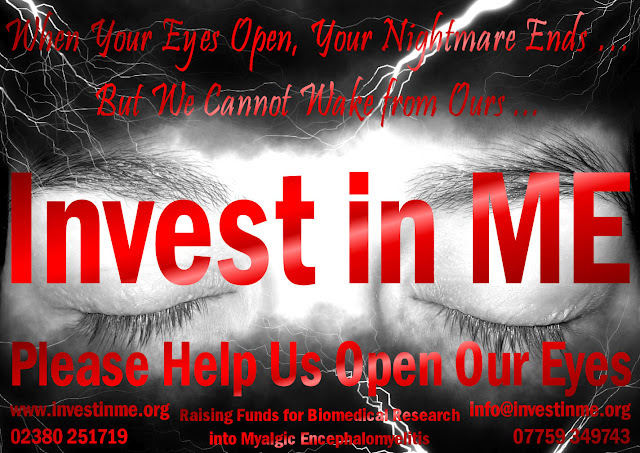 Diane's account of Lili's story may be read on Invest in ME website (click here). 25% of people with ME fall into the range of severe and very severely ill. 8th August was chosen as this is the birthday of Sophia Mirza, who died from very severe M.E. in 2005 aged 32 and would have celebrated her 40th birthday this year. 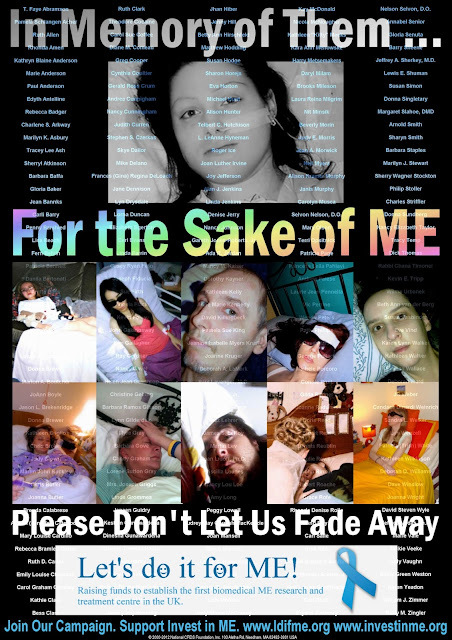 Sophia was among those who paid the ultimate price for medical mistreatment as consequence of the medical ignorance and psychiatric dogma that causes suffering to this day, and which the Invest in ME strategy for biomedical ME research and education of the healthcare profession aims to address, and this is why they have our full support for the work they are doing, as it will help bring an end to unnecessary suffering and untimely deaths. Professor Malcom Hooper and Margaret Williams wrote in a recent statement: "The charity Invest in ME has provided a truly remarkable opportunity to address one of the biggest medical scandals in history and to remove what in 2007 Alex Fergusson, Presiding Officer (Speaker) of the Scottish Parliament, referred to as “the cold grip of psychiatry” on myalgic encephalomyelitis (ME), which he said was “still far too deeply rooted in the world of ME” (http://www.meactionuk.org.uk/Defiance_of_Science.htm)." (click here). In the press release announcing the launch of our campaign two years ago, we paid tribute to Sophia and Lynn Gilderdale. 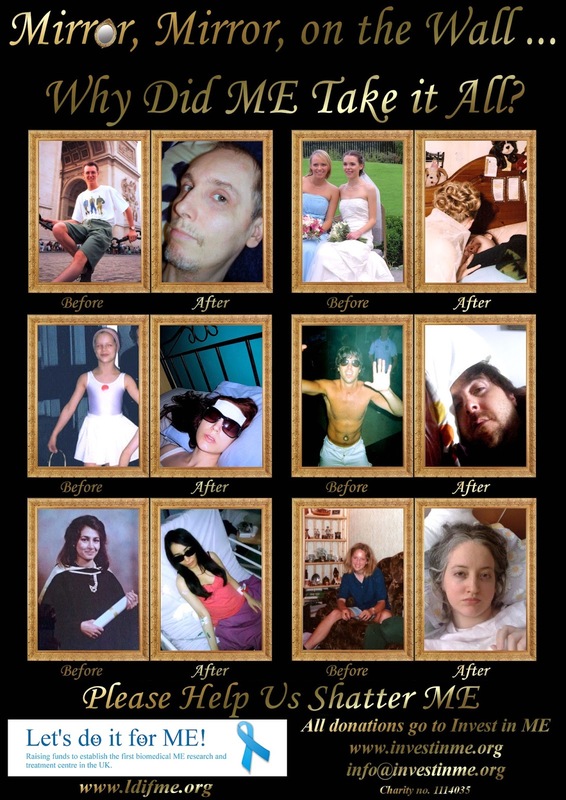 The privately commissioned specialist neuropathology post-mortem examinations on both young women showed evidence of damage that warrants the World Health Organisation classfication as a neurological disease of the correctly named benign myalgic encephalomyelitis - benign as it is not fatal within a short time - hence the many years of unnecessary suffering that can ensue as a result of medical misunderstanding and mismanagement. 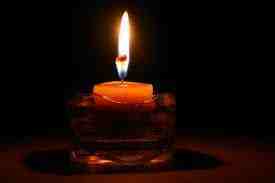 Just one such death is one too many, but there have been many more and the suffering of countless others is ongoing. Behind the fun of our campaign lies a very serious purpose. We aim to educate medical students, doctors and other health professionals about the facts of this disease and what is known from the ongoing research, so that they may be in a better position to treat patients correctly and at least do no harm if they are unable to prescribe effective treatments. The National Institute of Clinical Excellence guideline for ME is in urgent need of updating and particularly with regard to severe ME. Our campaign was inspired by a report on the proposal by Invest in ME to establish a patient examination and research facility in Norwich, which would be the first of its kind in UK/Europe and could develop into a centre of excellence. Kerry has very severe ME and was featured in that report. She had been a text friend of Lynn's. Kerry is also pictured in our awareness posters, designed painstakingly over several months by another sufferer of severe ME. Members of the Collingridge family's Facebook group had also been sent Emily's Appeal, with a request to repost it to raise awareness. 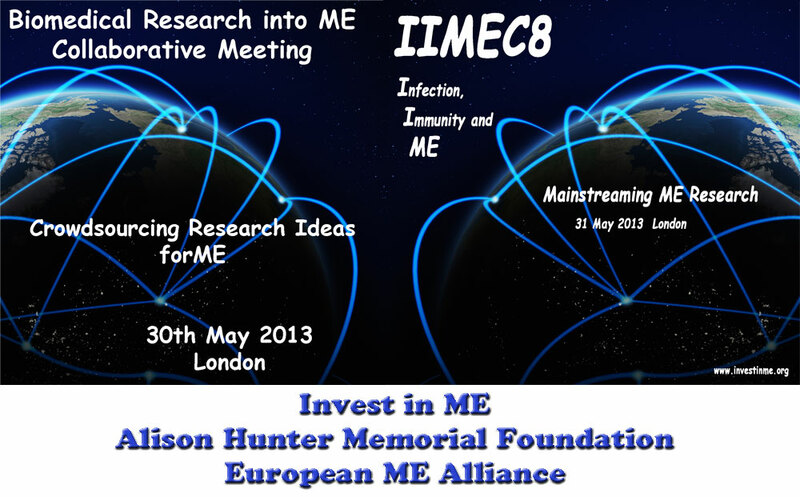 Invest in ME has close links with the Alison Hunter Memorial Foundation in Australia. Alison was another young life lost to this disease. My nature has always been that if I see a problem, what can I do to help solve it? I can offer a listening ear, sympathy, empathy, but what can I actually do to help? My instinct was that the most useful action I could take under the circumstances would be to help Invest in ME to bring their proposal to fruition by helping to raise awareness and funds for the research. If the Norwich Centre helped Kerry, that would be reward enough, but I know that it stands to help others in her region, as well as tens of thousands across UK and ultimately millions around the world, as the work in Norwich is part of an international drive by highly skilled and dedicated researchers working together with patients to nail this dreadful disease once and for all. So, with the approval of the lovely folk at Invest in ME and the help of my like-minded Facebook friends, Let's do it for ME was launched in July 2011. We could say the rest is history but we are not done yet and this is about the future. 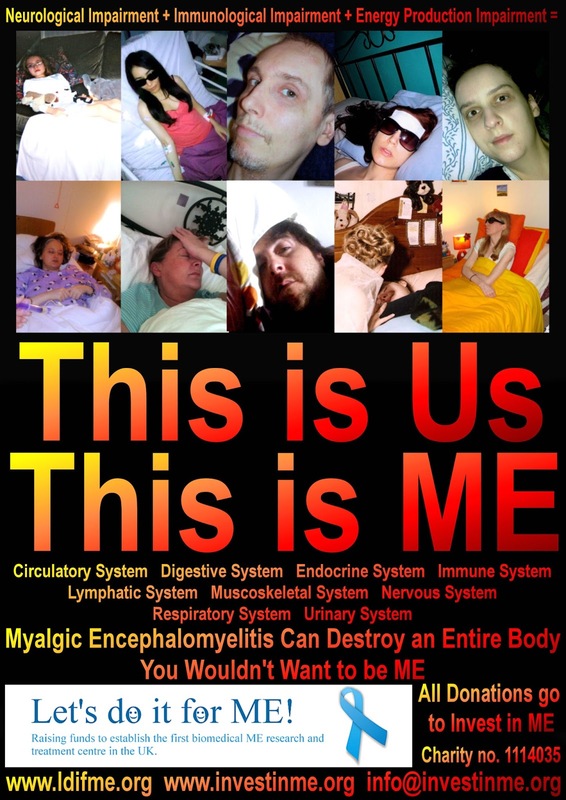 Ill as we are, from our homes and beds, and with the help of our well friends and families, knowledgeable and experienced clinicians, scientists, and researchers, we will fight the good fight until we have achieved proper recognition and understanding of myalgic encephalomyelitis as a serious and life threatening disease (as now recognised by the FDA) across the range from mild to very severe, most importantly to the medical profession, and also to the media and wider public. There is no more constructive way to honour the memories of those we have lost from our global community and no better way to forge hope for the future for those suffering now and those to come. The situation of severely ill bedbound ME patients was discussed by some of the presenters at the 2013 IiME conference (IIMEC8) and these extemporaneous notes on severe ME may be found on Invest in ME website (click here) and a link to a small survey on caring for seriously ill ME patients (click here). Dr Peterson from US said that the healthcare system is not geared for these types of patients. In the past these patients would have been cared for in hospitals with alimentary treatments but now the cost is prohibitive. Dr Staines from Australia said the situation is bizarre as normally the most severe patients in any illness get most attention and are hospitalized but in ME the situation seems to be reverse. “While it is presently very difficult for modern medicine to fully explain all severe ME symptoms, disordered neural function within the brain and spinal cord would come close. An excellent report on the launch of this special day of Understanding & Remembrance Day for Severe Myalgic Encephalomyelitisby Gabby Nielk may be read on Pheonix Rising (click here). 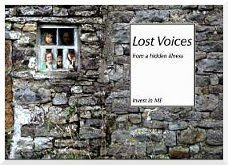 Lost Voices from a hidden illness is a beautifully photographed book of accounts of by people with severe ME and their friends and family members, along with excellent information about ME. The book was compiled for Invest in ME by Natalie Boulton, who later co-produced the film Voices from the Shadows.